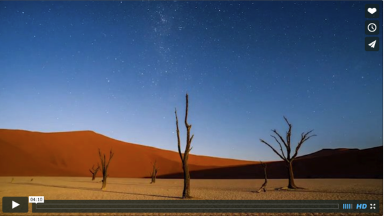 The Namibian desert is high on the bucket list of any landscape photographer. Stark desert sands, an endless sky, a studded Milky Way stretching out over marching desert dunes. The country beckons with incredible landscape opportunities around virtually every corner! 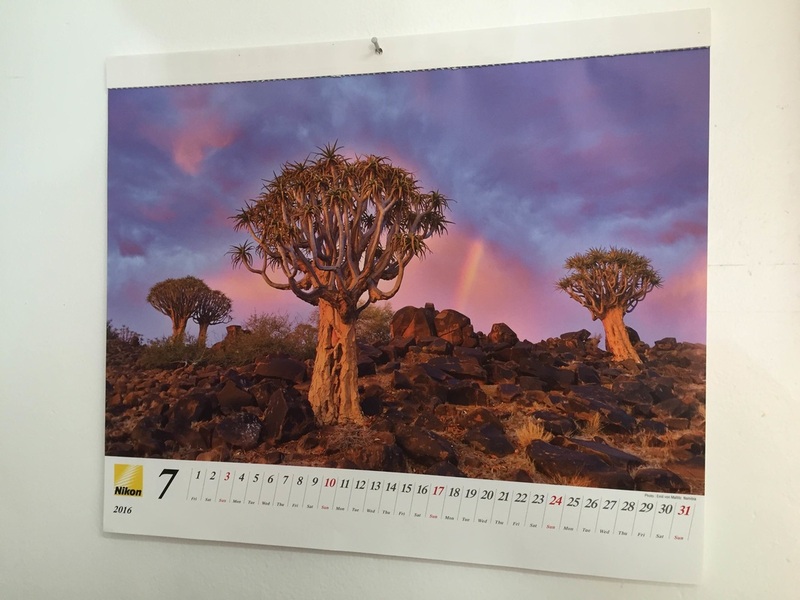 The Nature's Light Team will for the seventh time be leading a 13 day landscape photography workshop and tour to five of the most spectacular of Namibia’s scenic icons. We take you to the magical Quiver Tree Forest, have you shoot Fish River Canyon and the Kolmanskop Mining Town, then we Compose The Dunes at the world renowned Sossus & Dead Vlei in the Namib Desert, to close off with photographing the iconic Spitzkoppe Mountains. 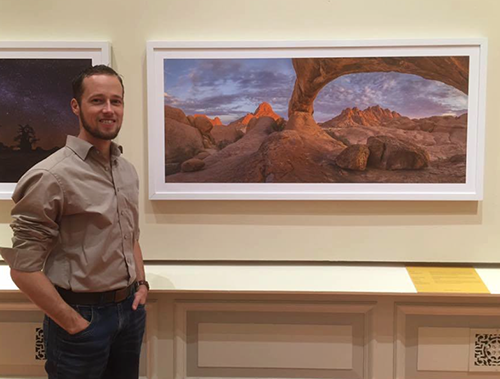 Exciting news: One of Nick's images, taken on this workshop, won the landscape category in the prestigious Nature's Best Photography Africa Awards, and has been adorning the walls of the Smithsonian National Museum of Natural History in Washington DC, while one of Emil's images taken on this workshop was chosen to feature on the Nikon International calendar 2016! MOSTLY LUXURY (4 STAR), WITH ONE 3 STAR ACCOMMODATION. – Mark Weaver, United Kingdom, participant in the 2014 workshop. This was the most incredible photography experience ever…the professionalism and knowledge of Nature’s Light instructors is second to none. Evening sessions included making instructional training videos, critiques, and individual instruction when needed. The instructors are experts in knowing when, where and how. No time was wasted. Our accommodations were beautiful and unique. I would rank the Namibia photography workshop with Nature’s Light as a top life experience which took my photography skills to a whole new level. – Betty J Dent, United States of America, participant in the 2017 workshop. Please note that this tour is not a traditional relaxing holiday! It is a serious photographic workshop with teaching sessions/lectures at locations, and photography guidance in the field. It is for those photographers/photography enthusiasts who want to take their photography to the next level, with a steep learning curve, while visiting iconic destinations with a tutor on site to help them create masterful images. The emphasis is very strongly on landscape photography, and teaching sessions covering both creative, technical and editing aspects. Participants can choose what topics they would like to have covered during the workshop. In doing so, teaching needs can be assessed during the workshop and tailor made to suit individuals needs. Therefore, this workshop is suitable for both beginners as well as experienced photographers, and where and when required, the group can be divided so that the two instructors and their assistant can each teach different topics and over various experience levels. To offer true versatility and flexibility the workshop tours the country with two four wheel drive vehicles each taking 3 or 4 people. Accommodation is varied ranging from 3 star chalets to 4 star lodges, all ensuring the best possible access to the photographic locations. Having 2 staff to 7 participants ensures the best teacher- student ratio available on the market. Good to know: The tour is pretty much all inclusive so you will have very little extra expenses! The workshop can also be extended with a safari holiday visiting the famous wildlife reserves of Namibia and surrounding countries. Talk to us for more details. A (optional) scenic flight over the Namib Desert, Sossus Vlei & Dead Vlei, allowing you to take truly unique images of this spectacular scenery! Basics to advanced techniques in digital landscape photography. There are three instructors meaning that virtually all levels of photographer can be catered for. ​Guests arrive and are transferred to the guest house where there is time to spend the rest of the day relaxing by the pool and resting after the long journey. One of the photography leaders will be there to meet the guests and can familiarize everyone with the plan for the next exciting two weeks! After breakfast in Windhoek, our small group will start the journey through this beautiful country to Keetmanshoop where we will meet up with the other photography leader and his assistant. This afternoon we will have a short introductory lecture and a photo-shoot amongst the famous Quiver trees and dolomite rock formations. There are multiple locations at this phenomenal site. The advantage of multiple vehicles means that we will have ample space in which to photograph. On day 3 we will be up early for a dawn shoot, some relaxation time and a teaching session will follow. We will also have some guided editing time in the afternoon and of course, more photo-shoots in the evening; with an optional star-trail shoot to end the exciting day. We leave the magnificent Fish River Canyon after a critique session and travel to the coastal town of Luderitz. To break up the drive we will stop at an old railway house to have a short photo shoot. The amazing and hauntingly beautiful abandoned mining town of Kolmanskop has to be one of the highlights of your visit. We will be staying at the comfortable Luderitz Nest Hotel (with its own tidal beach and walk-on jetty). 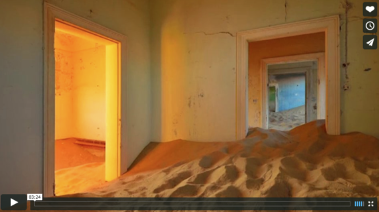 As photographers we are able to arrange for a special permit to enter Kolmanskop prior to dawn. This allows for a fantastic opportunity to walk through these old buildings and homes, which the desert has been slowly encroaching upon. We spend the full morning here photographing the desert and its captive buildings before returning to the Nest Hotel for lunch. We return again in the late afternoon to shoot the dying light as well as spend an evening photographing the stars. On the seventh day we have a relatively long travel day driving towards Sesriem Canyon and the Namib-Naukluft National Park. Although long, there will be opportunities to stop to take images of the rust coloured sands of the Namib-Naukluft Desert. In the evening we have dinner and relax at the lodge as it overlooks the start of the ‘red dunes’ into the desert. On day eight we are up early to get dawn shots of the famous Sossusvlei. Guests have the option to book a helicopter or plane flight over the dunes! This offers a great way to see and photograph the famous dunes from a different perspective. In 2014 we captured some great and unique images this way, and would recommend it to anyone! If all guests wish to book a flight, some will take the early morning flight while the others will take the following days late afternoon flight. After our photo shoot of Sossusvlei, or your exciting flight, we return to the lodge for a rest followed by some teaching and guided editing time. This evening we will complete a photo-shoot of Deadvlei with its iconic trees. There is time enough for trying out compositions, ask for guidance from the instructors and taking test shots etc.,. Day nine sees a super early start to create star trail images over the stark skeletal tree forms of Dead Vlei followed by a morning shoot in the same location. The stars are spectacular and well worth the lack of sleep! After our morning shoot it is back to the lodge for a rest. In the afternoon we will have another critique session followed by another opportunity to photograph Sossusvlei. Those who have not taken their scenic flight yet will do so in the late afternoon/evening; (NB the helicopter or plane flight will be dependent upon availability and obviously the weather). Predawn of day 10 we travel towards the dunes to be there in time for the rising sun. Allowing more time to create compelling images of the dead trees. When the sun is up and the light has become harsh, we return to the lodge for breakfast, after which we check out and travel to Rostock Ritz, an oasis of luxury overlooking the vast grass plains to the east of the Namib Naukluft Desert. After an optional morning game drive we depart Rostock and travel to the incredible and surreal landscape of Spitzkoppe. This is a large sandstone mountain in the middle of the desert with some of the most amazing arches and rock features. Rustic bungalows situated directly under the mountain affords the opportunity to photograph arches and rock features against the stars, as well as be in place for the early morning light as the sun bursts over the horizon. With the luxury of a small group and multiple vehicles we are able to split groups over the two and a bit days of shooting at this location. Shooting will be mixed with time for guided editing and advanced editing workshops. This morning we finish our wonderful tour with a last dawn photo-shoot at this magnificent location in Spitzkoppe. Finally we make our way back to Windhoek where photographers can opt to fly out immediately or organize to stay near to the airport for a more leisurely departure the following day. The 2019 tour starts on the 1st of November and ends the 13th of November 2019. Minimum 2 participants, maximum 7 participants. Discounts: 5% off if booked and deposit paid before 1 April 2019. Extensions: Please talk to us for possible extensions. Tailor Made Safaris is happy to arrange for additional days to Chobe, Caprivi Strip, Okavango Delta etc.! Click here for an example itinerary.